LEGOLAND's MINILAND recreates Eagles' Super Bowl celebration scene. Families who can't make it to Philly for the Eagles' Super Bowl parade can still make Thursday special for their young kids. Watch the festivities at home, then head to LEOGOLAND Discovery Center to hold a replica of the Lombardi Trophy, made entirely from LEGO bricks, and wear LEGO championship rings. 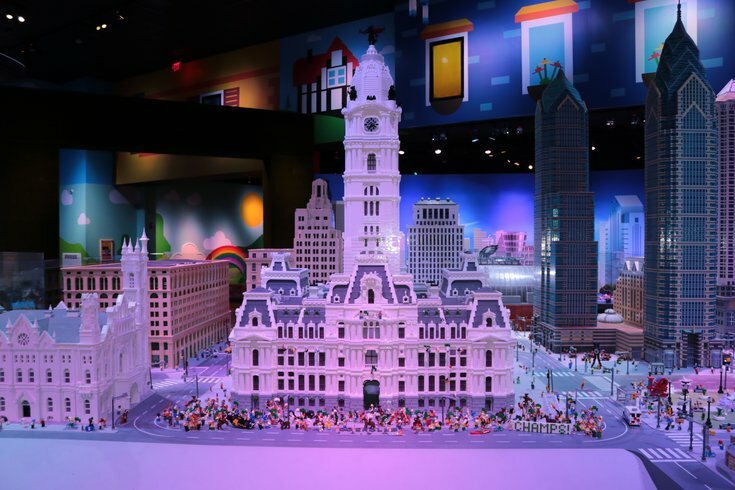 Kids will enjoy posing for pictures and then checking out the Eagles' parade in MINILAND, where iconic Philly landmarks were recreated with 1.5 million LEGO bricks. Mini LEGO figures will be celebrating in the streets – even climbing poles. At the LEGO replica of the Philadelphia Museum of Art, mini LEGO Eagles players will be presented with their championship trophy. Those who wear green to LEGOLAND Discovery Center from Thursday, Feb. 8 through Sunday, Feb. 11, will get a discount on tickets at the door.